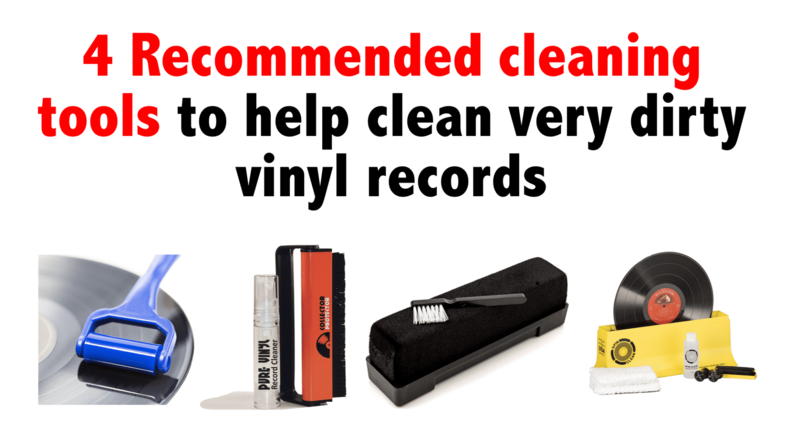 I know that if you look online when it comes to Recommended cleaning tools for very dirty vinyl records that you can “apparently” use all kinds of household items to clean your vinyl records. From Windex to WD-40! I have pretty much heard it all over the years when it comes to what to use to clean your vinyl records. Now granted some people may swear by their own home remedy and that is cool, but I have never been comfortable using something that is not intended to go on vinyl to clean vinyl. That is why today I am looking at some of the more popular products that are on the market when it comes to cleaning vinyl records and also a little home remedy that first of all works, but will also not rot your vinyl. While there is a lot more new vinyl floating around now than there was ten years ago. Many people who are collectors will buy a lot of pre-owned vinyl some of this stuff can be 50 years old! As a result, it is only natural that some of the vinyl you pick up will be dirty. 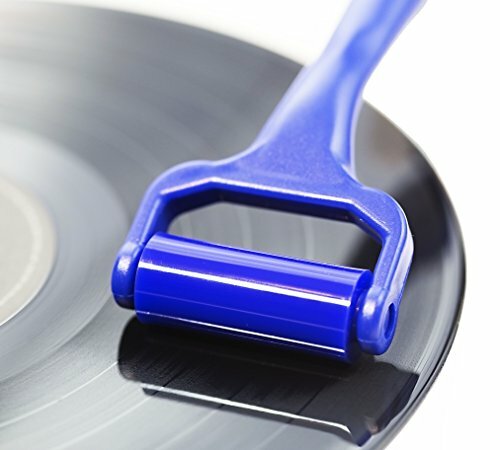 The first reason you want to clean your dirty vinyl records is that they will sound so much better when there is no dust, dirt and who knows what else on them. 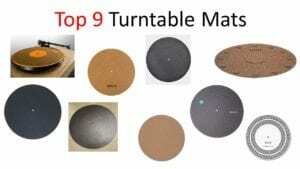 The second reason is that all that dirt that is in the grooves is probably going to end up on your stylus which is then going to end up on the next record you play. It is just a mess all-round so make sure you clean your vinyl! 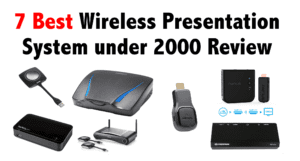 Here are some of the most popular products that are on Amazon right now. These are pretty common and I would love to tell you some really obscure thing to go and track down. However, when it comes to vinyl I would always advise for going for what actually works and these have tons and tons of great reviews. This is around 15 bucks and it is a great little package that will get that grime of your vinyl. The Collector Protector Vinyl Record Cleaner and Anti-Static Carbon Fiber Record Brush come with a very nice brush that has anti-static technology. It comes with a little bottle of solution that may seem small (well it is) but you only need the smallest spray to clean a record so it is going to last you quite a while. The real star here though is that fantastic record brush. 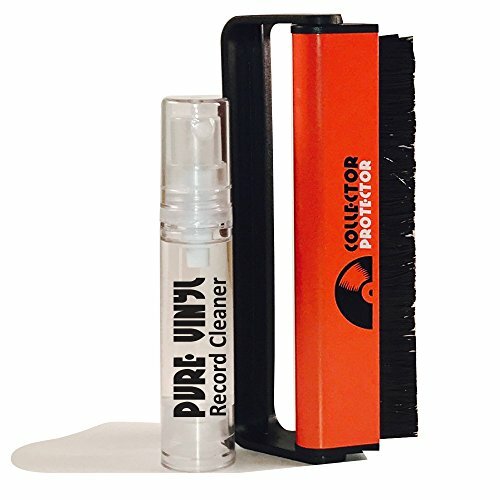 I know a few vinyl collectors who swear by the Vinyl Buddy Record Cleaner and say it is the ultimate of all the recommended cleaning tools for very dirty vinyl records. It looks like a paint roller and it kind of works like one. You just roll it around your record and it will pick up anything that is in the grooves. You can also clean this so it is going to give you many years of use. Now I have actually personally used this Record Cleaning Velvet Brush and can tell you first hand it is great. The actual brush has the perfect weight to it and when you are using it you actually feel like you are giving your record a good clean. It covers the whole of a record so it takes no time at all to clean a record. Also included with this is a little brush that is there to give your stylus a clean too. Wait does something like this actually exists? Well it does and in my research, I have seen a few of them over the years, but the one you will have heard of is called the Spin Clean Vinyl Record Cleaner. Check out this YouTube video above where you can see how it works. It is very clever, it uses water and some solution and it is my understanding that this gets your records sparky clean and it is super easy to use. 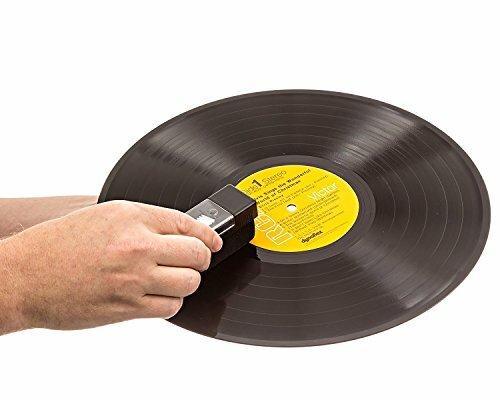 It also has different attachments that allow you to clean smaller records too. I know it is a little pricey, but if you are all in with your vinyl collection this is certainly worth taking a closer look at. I will tell you right now to stay away from things like Windex and the WD-40! Sure it may get your record “clean” but what are those chemicals doing to the actual vinyl? There are far too many unknown variables for my liking so I would always suggest you do not do this. However, there is a little bit of a home potion that you can make which has been proven to be incredible. What you do is get some isopropyl alcohol. It has to be this kind of alcohol so put that bottle of Bud back in the fridge, actually pound it down and then come back to me. Ok, so now you also use some distilled water. The key here is to not overuse the isopropyl alcohol. You want about a ¼ of this for ¾ of distilled water. It may be tempting to use more of the alcohol, but trust me ¼ is enough. In my house, my wife swears by white vinegar and we have used it for all kinds of cleaning projects around the house. It got me thinking “could this work for my vinyl records?” Well, I did a little research and on places like the Vinyl Engine site, there is some great discussion about using white vinegar to clean your vinyl records. You do not just dump it on your records and give it a wipe down with a paper towel! You want to take your white vinegar and mix it with some distilled water. A 50/50 split is good enough for me. You then use a microfiber cloth or a record cleaning brush to give it a good clean. This actually works and the results will really blow you away. I find this great if you have just picked up some really dirty and nasty vinyl from the local swap meet that has been sitting there for 10 years!